I don’t remember how I first heard about the Toronto area based painter Janice Mason Steeves, but I felt an immediate kinship when I saw her earthy, minimalist, abstract paintings. It seemed that we also shared a love of northern, vast, bleak landscapes, and we have both visited Iceland as an artist in residence - albeit at different residencies. The paintings that have come from her residencies and workshops there reflect the cool earth tones and the silence and spaciousness of that far northern wonderland. Trine Bumiller is a Denver based painter who has a special interest in the natural world. Her oil paintings are shown around the world and she is represented by Robishchon gallery in Denver, and Zg Gallery in Chicago. She has also been to numerous artist residencies, including one in Denali National Park in Alaska. Just a few days left of our residency here at Brush Creek Ranch. Time stands still and whizzes by, simultaneously. This vast landscape inspires and intimidates at times, even being from Colorado. Our daily hikes have added dimension to our isolated camp, and from the high perches, there is a sense of scale and orientation, sometimes missing from the low valleys. I've noticed a pattern while at a month long residency, that almost without fail repeats itself. Currently I'm at the midpoint, where I feel that nothing is working, and I can't paint! 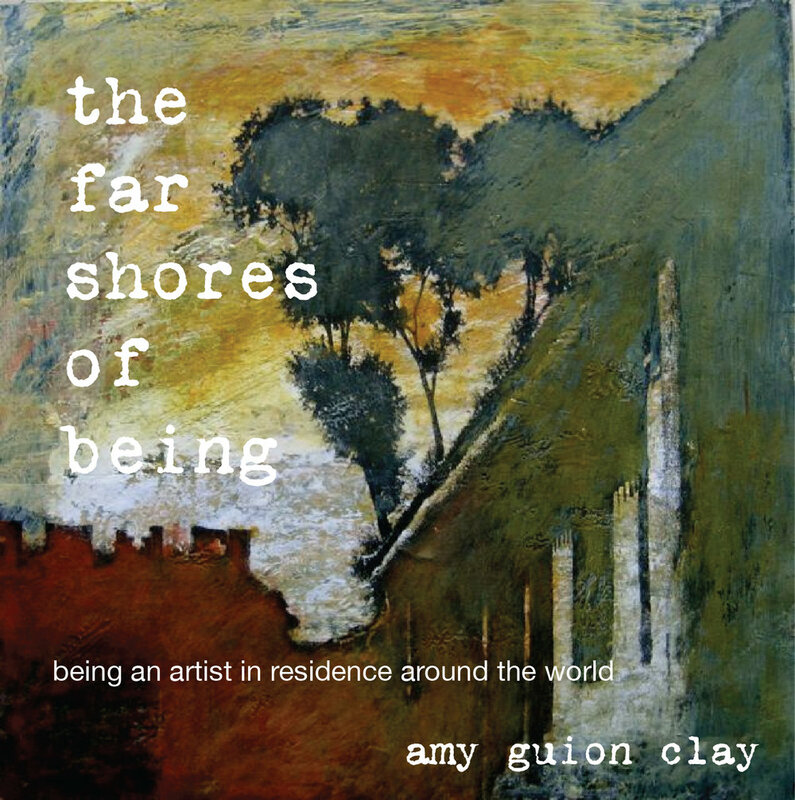 My online course about Artist Residencies is now open! All about ARTIST RESIDENCIES - how to find the right one for you,create a compelling application and become an artist in residence. EVERYTHING YOU NEED TO KNOW! "Warning - extreme blowover danger!" The flashing signs crossing Wyoming on HWY 80 meant business. The 65mph + winds rattled and rocked my little Mini Cooper Clubman. But she held steady, helped I presume by the weight of 10 heavy panels for painting and a few hundred pounds of art supplies and other stuff. Art saves lives! One of my favorite of the etchings I did at London Print Studio last month. I layered a gestural painting I did with my drawing of water to create the etching plate, then rolled layers of ink on the surface of the plate for the color. Each print is unique in that way. Finished image is 10" x 8" on Fabriano archival paper.